Today the people of Oslo come together to recognise the city’s homeless community, working in cooperation to provide a little warmth as the long winter month’s creep closer. Since 2011, the citizens of Oslo wake up in mid-October to “Orange Scarf Day”. Motivated by the passing of a homeless person who froze in his sleep, people wanted to help, so they began making warm knitwear for the homeless, and today the common item is a bright orange scarf. In the run up to the Orange Scarf Day, people begin to knit scarves, and on that day, hang them up on trees around the city. Homeless or disadvantaged people in need of a little extra warmth are encouraged to help themselves, to protect from the cold harsh winter. These scarves are all orange, to help signify their meaning. Today, the initiative is managed by Kirkens Bymisjon, a charity who support the homeless throughout the year, and work for a more inclusive society. 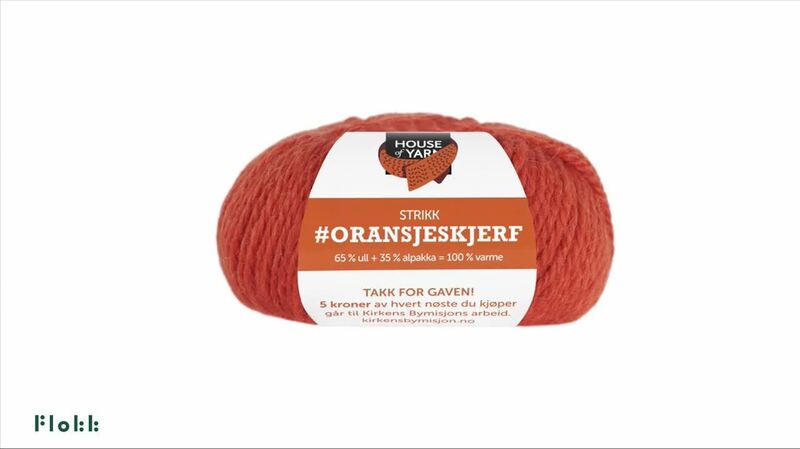 Official sellers of the orange yarn donate 10% of proceeds to the charity to further support the cause. The overall goal is to spread warmth, inclusion and a sense of community when the world is getting darker. Many do not look forward to the winter or Christmas, and this is a way of making people feel seen, and recognised. 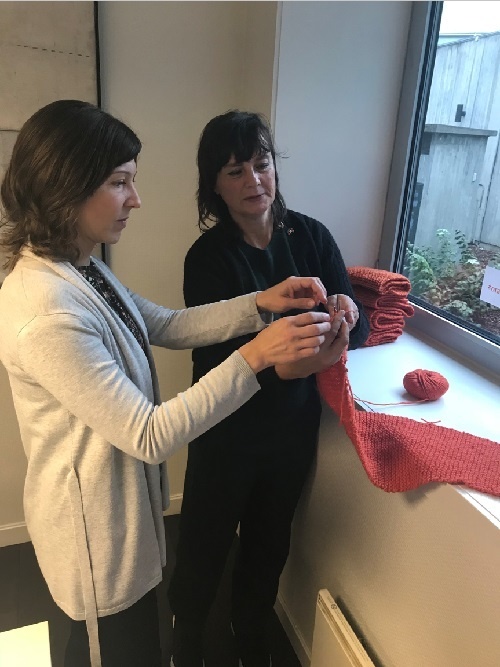 The organisation also encourages people to knit scarves themselves, and to work together at their place of work or the home to bring people closer there too. 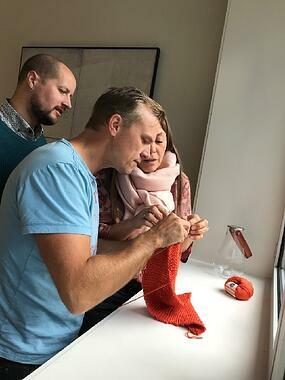 For Flokk, our headquarter office in Oslo has supported Kirkens Bymisjon for several years already, and this year we decided to join the Orange Scarf Day campaign as well, with both individual and team efforts produced during break time and at home. The idea of bringing people together resonates with our company’s philosophy and we strongly support the initiative. We also really enjoy the challenge, as you can see from the video below!